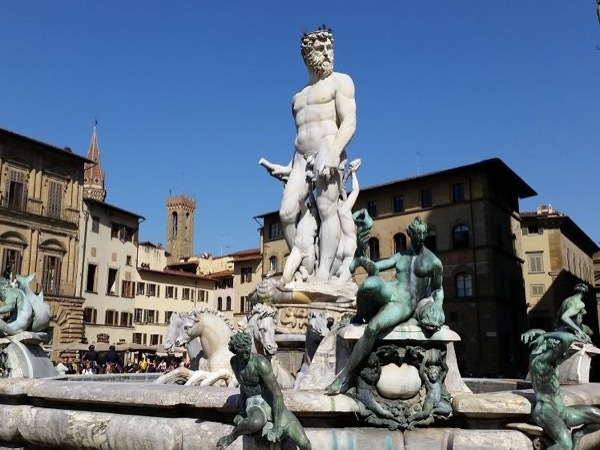 Traveler Reviews for Private Tour in Florence, Tuscany, Italy by Tour Guide Sinisa M.
We thoroughly enjoyed our time with Sinisa. While the focus of the tour and his expertise was centered on the evolution and impact of Florentine artists, it was intertwined with the necessary detail of Florentine history, mythology and the spread of Catholicism. Sinisa is an excellent tour guide. His extensive knowledge of art history made our tours of the Uffizi and Accademia so enjoyable. I cannot recommend him more highly. Sinisa was excellent! He loves Florence and has a remarkable amount of knowledge! very proficient and has an in-depth understanding of art. Sinisa was an excellent guide. He knows everything about the art and the artists. This was a great way to see these two "must see" museums. Sinisa was our guide in Florence for 2 days. Sinisa was very knowledgeable and accommodating; we most enjoyed our tours. Sinisa was just terrific! We had a fabulous day and learned so much of the history of the art and sites of Florence that we saw. A delightful man that we truly enjoyed spending time with and left feeling like we had a new friend! Grazie! TOUR GUIDE RESPONSE: Jamie, thank you for your estimation. It was a great pleasure to be guide for your party. Wish you many other trips in attractive places like Florence is.